Summer-specific foods aren’t limited to cool treats like ice cream. In fact, certain fruits and veggies are at their season’s peak during the warmer months. Read on for recipes that highlight ingredients that are best served before fall. Kids playing. Birds chirping. Lawn mowers rumbling. 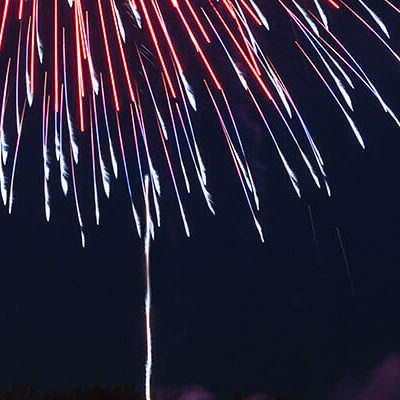 The simplest sounds of summer are sometimes the most missed during the colder seasons. 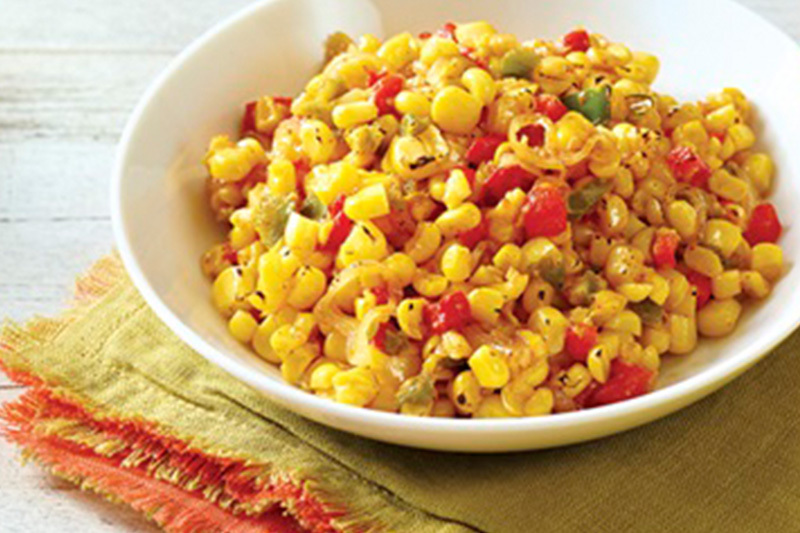 Savor the last few warm days by indulging in this Barbecue Corn Sauté. The freshly-shucked corn combined with a kick of pimiento and jalapeño will hopefully keep you sated until next summer rolls around. There’s just something about the combination of sweet and savory kabobs, such as Spicy Beef and Zucchini Skewers with Pineapple Romesco. 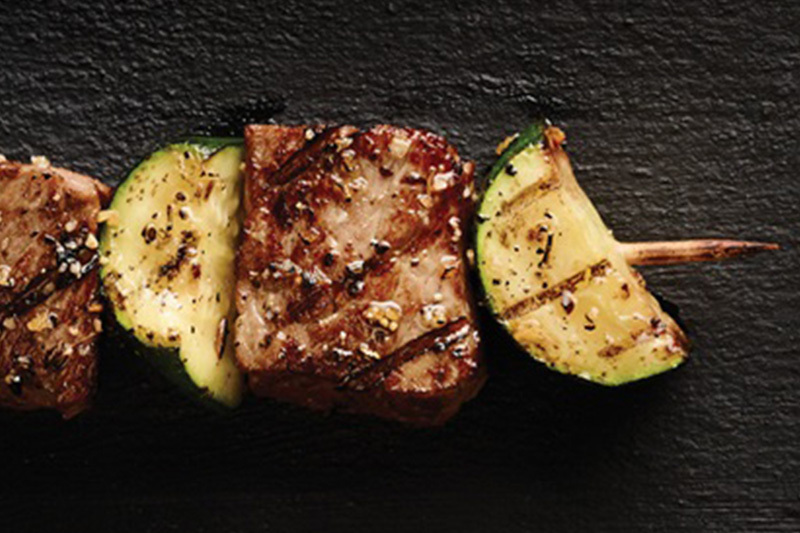 The flavorful grilling steaks are coated in delicious seasonings and placed on skewers, alternating with fresh zucchini, pineapple, and red pepper. It’s served with a dipping sauce that brings out all the bright flavors. 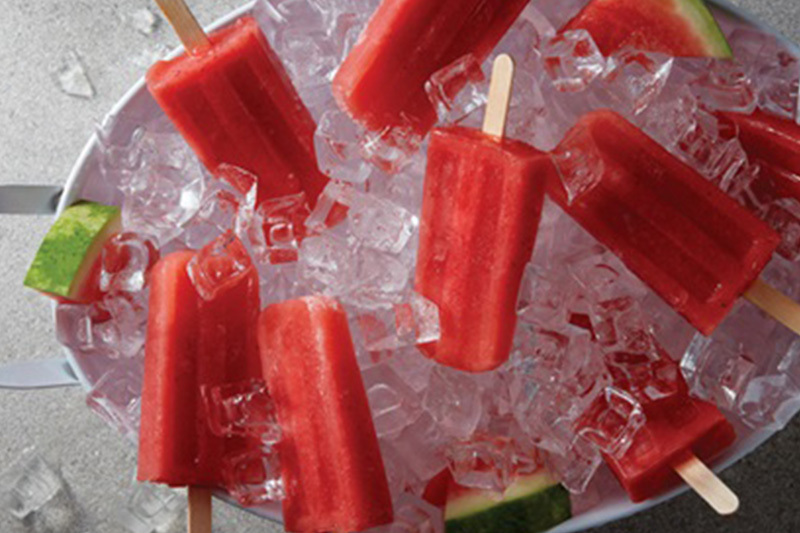 Savor the taste of fresh fruit—in ice-pop form! These Watermelon Ice Pops are made with watermelon, strawberries, and lemonade for a delectable treat perfect for Labor Day gatherings. If the kids claim all the ice pops, then the grown-ups can dig into this Blueberry-Peach Cobbler. The sweet, fresh peaches contrast the tartness of the blueberries. 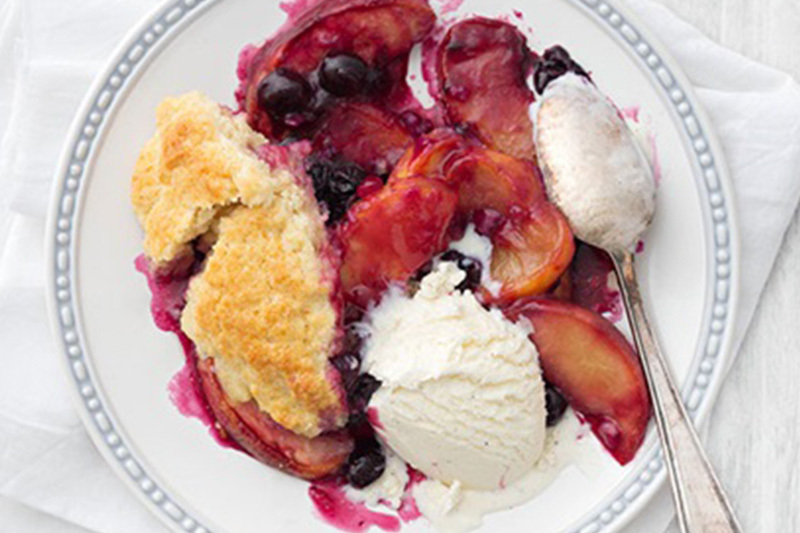 If it’s an especially hot day, top it off with a scoop or two of vanilla ice cream for a cobbler à la mode. Get grilling while the grilling’s good. And these Mushroom Swiss Burgers are very good. 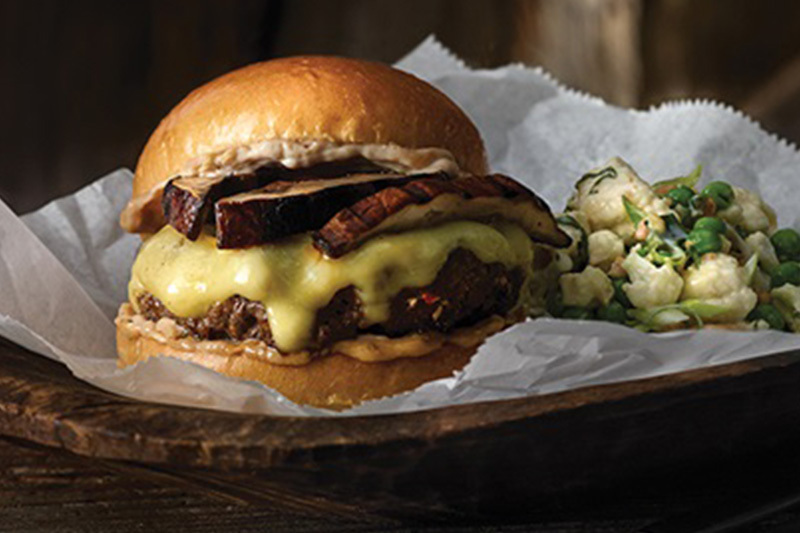 Start with Publix Bakery buns and thick beef patties, and top with grilled portabella mushrooms and double cheese. Oh yes. Serve with Chopped Cauliflower Salad or a Grab & Go salad from the Publix Deli. Okra’s not just a Southern staple—it’s also a summer staple. 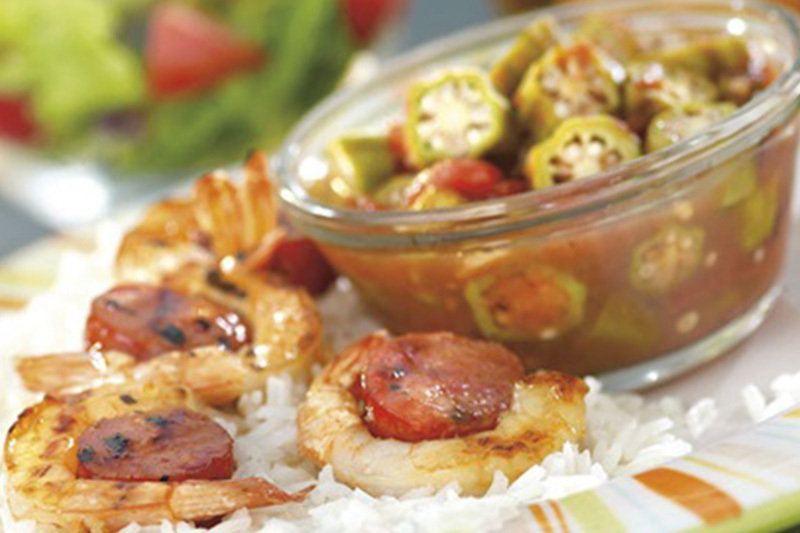 This recipe for Shrimp and Sausage Skewers with Stewed Tomatoes and Okra is a Cajun classic that’ll remind you of warm nights in the French Quarter. Just serve the skewers on a bed of rice with okra on the side, and you’ll see how easy it is to be transported to The Big Easy. 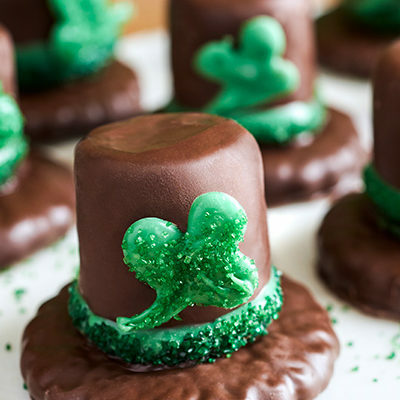 There’s no substitute for fresh ingredients! 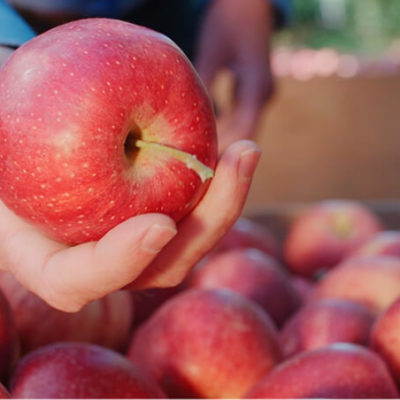 If you need more information about which fruits and vegetables are best during summer or any other season, ask any of our helpful associates or check out our handy guide.